As a nation, we rose up and forced an end to the Trump Administration’s abysmally cruel separation policy. We must and will finish what we started. In early June, word of young children taken from their parents at our southern border began to spread. Confusion initially reigned in the media. Why were families being separated? How many were there? Where were the children taken? What was the plan? In mid-June, the Trump Administration announced that nearly 2,000 children had been separated from their parents, against a backdrop of Secretary of Homeland Security Kirstjen Nielsen’s defiant refusal to apologize and the administration’s continuing (and false) denial that family separation was its policy. Thanks to an ACLU lawsuit originally filed in February 2018, information on thousands of separated and transported children continued to surface as public furor grew. A report of the separation of “tender age” children caused journalist Rachel Maddow to lose control and tear up on camera. Thousands of her viewers did the same. Months later, the base cruelty of these separations is impossible to comprehend. What kind of person orders border officials to pull a nursing infant from its mother’s arms? What kind of person obeys that order? No answer sufficient to this question exists. Hundreds of children remain separated from their parents and the process has ground to a halt. It’s time raise our voices once more. Let’s review the topline details, from the beginning. In the face of public outrage, President Trump issued an executive order on June 20 blaming Congress for family separations and stating that the Administration’s preference would be to detain families together. The Order directed the Defense, Homeland Security, and Justice Departments to prepare sufficient family detention facilities and to seek to suspend a prior requirement that children be detained for no longer than 20 days. The Order made no provision for reunifying families separated to that date. Two days later, Judge Sabraw of the Southern California District Court presided over a status conference in the Ms. L. v. ICE family separation lawsuit filed by the ACLU in February. ACLU lawyer Lee Gelernt requested an immediate injunction that would order reunification and require the government to provide a list of parents and children “so that they can show they haven’t lost track of these parents and children.” The deadlines issued—July 10 for the under-5s and July 26 for all others—but hundreds of children remain separated. The August 2 status report indicated 1,569 children reunified with parents and 423 otherwise discharged. In one week, only 18 additional children were returned to their parents. By August 9, 1,569 children had been reunified and 423 otherwise discharged—indicating the passage of seven days with no additional reunifications. The August 16 report indicated that one child above the age of four had been reunified during the past week. Just one. It added a column addressing children four and younger, showing that of 103 separated “tender age” children, just 46 had made it back to their parents. By August 23, 293 additional children 5-17 had been returned to their parents, for a total of 1,862. Fifteen additional tender age children had been returned for a total of 61, indicating that 42 children aged four and younger remained separated 43 days after the relevant deadline. By August 30, fourteen additional children five and older were returned, for a total of 1,876. No additional babies and toddlers were returned. The latest joint status report issued September 6. The Government claimed significant progress, some of which resulted—as Plaintiffs noted—from removing children from the August 28 list of eligible children (Plaintiff’s Steering Committee “continues to meet and confer with the Government regarding information explaining why parents and children have been removed from or added to the lists of class members or children in ORR custody previously produced by the Government.”). While the Government claimed inability to reach 4 parents (among those deported without their children), Plaintiffs noted 28 parents for whom the Government-provided numbers were inoperative or ineffective and 17 for whom there was no phone number at all. In the face of these difficulties, Plaintiffs reported, counsel traveled to Guatemala last week to meet with class members concerning their children detained in the United States. Further, Plaintiffs requested complete information on parents alleged to be excluded from the Ms. L. class due to criminal history, requesting expedited briefing regarding two children in particular. In one, the Government has denied reunification to a mother and her four-year-old child (three when detained) based on an alleged outstanding warrant from abroad claiming gang membership, despite a U.S. court finding that the warrant is insufficient evidence that she is a danger to her child. In the other, a two-year-old child has been denied reunification with his father based on a 2010 guilty plea for assault—a history that, Plaintiffs claim, “has no bearing on his current dangerousness or ability to care for his child.” These cases of tender-age children held apart from their parents for no good reason—compounding, day by day, the lifelong traumatic impact such separation will inflict. As with prior reports, mismatches between the parties’ September 6 accounts illustrate a Government that has washed its hands of reunifying many of the children in its charge. Today, over six weeks after the deadline, a total of 1,937 children aged 0 to 17 have been returned to their parents. Of the original 2,654 children, 717 remain separated from their families; 220 have been “otherwise discharged.” As a result, today 497 children remain in custody with the Office of Refugee Resettlement. (The August 30 status report also states that 528 are still in custody, reflecting problems with reconciliation of numbers in various lists that plaintiffs describe in the report.) Many parents have been “red flagged” as ineligible for reunification, without explanation; the ACLU continues to ask for relevant information. As of August 30, the government admitted that 343 of these children have parents that were removed from the United States. Credible reports indicate many of them signed forms giving up their right to claim asylum and accepting removal as conditions of reunification; they were then removed without their children. Some did not understand the language the forms were printed in. Incredibly, the government has repeatedly tried to shift responsibility for reunification with deported parents to the ACLU as plaintiffs’ counsel. The court has refused to go along with this request. But the government continues to drag its feet, create confusion, and delay information sharing with disingenuous and shameful excuses. At no time has the government admitted that it broke the law and violated human rights when it separated families, despite the court’s finding that these actions violated our Constitution. Instead, the government normalizes and bureaucratizes its unconscionable actions. The American Medical Association, American Academy of Pediatrics, American Psychological Association, American Professional Society on the Abuse of Children, and many other professional associations have issued statements condemning the practice of family separation and noting its acute impact on physical and mental health, both short- and long-term. Many observers have reported the heavily detrimental impact on parents as well, including depression, anxiety, and suicide attempts. Heartbreaking accounts of some reunions have indicated that children may initially reject the parent. Some reports state that American officials told children their parents had abandoned them. Some children were separated without being able to say goodbye. The damage done to attachment, as well as health, can be permanent. In this light, the government’s entire failure to formulate a plan for reunification prior to separation and failure to carefully track parents and children—failures noted by Judge Sabraw—are all the more shocking. The Government’s argument that current laws force its hand when separating families—an argument planted long ago—has been definitively rejected by the courts. 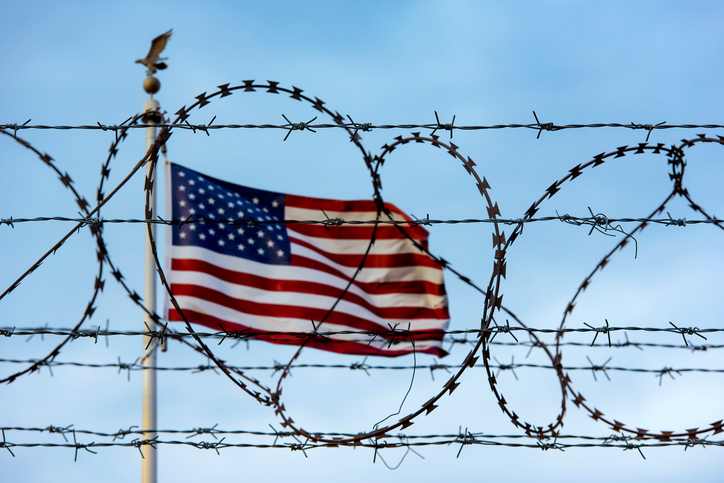 And when the Government subsequently petitioned the Central District of California to lift restrictions on family detention imposed by the Flores litigation settlement agreement, the court roundly rejected the request based on its limited jurisdiction. Not to be gainsaid, the Government has simply proposed regulations that would constructively withdraw it from the settlement. The regulations enable the Government to detain children with their families indefinitely. Historically, that means an average of six months in detention, though the wait can be considerably longer. The current grant rate in the United States is 26% for FY2018, down from 45% in FY2015. Together, this means that a significant number of families may be detained for many months, only to be denied and sent back to the danger they fled, especially if Attorney General Sessions’ new guidance eliminating many forms of gender- and gang-based violence withstands court challenge. For migrants from Honduras, Guatemala, and El Salvador—torn by abject poverty, terrible violence, and the failure of the state to protect children—detention followed by deportation will be devastating. Why isn’t family detention an acceptable alternative to family separation? Because detaining children does them traumatic harm, whether or not they are detained with their families. Such was the conclusion of a 2017 policy statement by the American Academy of Pediatrics, which found that “the Department of Homeland Security facilities do not meet the basic standards for the care of children in residential settings.” Children should be released into the community with access to a medical home and supports such as education, child care, and interpretation and legal services, especially considering the trauma they experienced prior to entry into the United States. While standards referenced by the ICE website govern the treatment of children in detention facilities, the AAP has found “discrepancies between the standards outlined by ICE and the actual services provided, including inadequate or inappropriate immunizations, delayed medical care, inadequate education services, and limited mental health services.” Human rights groups and professional associations within the United States and abroad condemn child detention. Studies have found that the negative impacts of detention on children often do not fade after release. The suffering impacts both mental and physical health, with one survey finding that internment survivors had a “2.1 greater risk of cardiovascular disease, cardiovascular mortality, and premature death” compared to those not interned as children. Given all we are learning about the long-term impacts of adverse childhood experiences and other trauma, these results are not surprising. And given that these children had no part in the choices that brought them here, their detention is all the more horrifying. Advocates point out that release of families into the community is a highly successful alternative: an American Immigration Council study found that 96% of families requesting asylum who were initially detained showed up for their court hearings. Family detention is both cruel and unnecessary. Today, hundreds of children remain separated from their families. As many as 42 are younger than five years old. Hundreds of parents have been deported without their children and may well have been coerced into forfeiting their asylum rights in exchange for promised reunifications that never occurred. NGOs comb remote villages in Honduras, Guatemala, and El Salvador in search of parents whose children languish in captivity within our borders. Our government continues to duck and dodge and push responsibility onto the parties whose constitutional and human rights it incontrovertibly violated—including babies and children. Though the story no longer makes headlines as it did earlier in the summer, we Lawyer Moms of America—a community 17,500 strong that formed in early June—will not quit. LMoA spent the summer raising awareness and money to support organizations that have aided refugees and immigrants for years, including RAICES and KIND. We raised bond money and donated airline miles. We coordinated volunteers traveling to detention centers to represent separated parents. We held press conferences and delivered letters to members of Congress. Like the immigration rights organizations we support, we will not stop until all the children are returned. As a nation, we rose up and forced an end to the abysmally cruel separation policy. We must and will finish what we started. Join us: https://lawyermomsofamerica.squarespace.com/. You don’t need to be a parent or a lawyer. You just need to care.